Mods, I am not sure if this is the right forum to ask about SQL certification exam. Is there any other forum as good as this one, which discusses about SQL certification experiences and related question/answers. I've moved this to our "other certifications" forum. Searching this forum for the exam number gives some suggestions such as this one. I recomment you Steve O'Hearn book. It's a full study guide. When you are "ready" for exam, read Mathew Morris summary study guide. I didn't use any Mock Test software. But Oracle recommends something on their exam page. 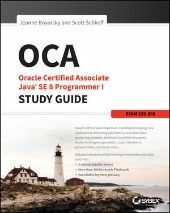 Just took this exam today and passed it with a 74% - the euphoria of seeing a passing grade on the Oracle site is only gradually wearing off! I took it upon myself to learn Oracle SQL myself without classroom instruction, using mostly the textbook Oracle SQL by Example 4th Edition by Alice Rischert. I also had a few other SQL books, but this was my main source material. From there, I downloaded SQL Developer and did months of hands-on self-training. For 2 months leading up to my exam date, I did practice exams and an online learning guide through Kaplan, a pay-for-usage site approved by Oracle. These practice exams do a great job of mimicking the real exam, so I found the rental price definitely worth it. I must admit - the exam is a beast. 66% as a passing grade seems easy enough with an exam length of 2 hours, but considering 75 questions with a different "scenario" for each....it's a challenge and you need to know your stuff without spending much time on each question. Many questions have an "exhibit" button which will show you a table(s) pertaining to the question; others actually show you an actual mock schema with multiple tables. I found that viewing the exhibits only slows you down and many questions can be answered just by understanding what the scenario of the question is telling you. Again, time is of the essence. Quite a few select statement and DML-related questions. Most of these require pointing being able to view correct syntax in a short amount of time. Honestly, I think you need to get the bulk of these questions correct since it only gets harder. A LOT of questions regarding indexes and views; you really need to know both inside and out and just not how to create them. There were a few of those dreaded "Which 4 of the following 6 statement regarding indexes is correct?" questions. DML rules when it comes to views is a subject touched on multiple times. Several questions regarding hierarchical queries. I was surprised how advanced reporting options like dense_rank and the over clause w/ group functions never made an appearance. I think there was one question regarding the "with" clause. Not as many questions about DCL and object/ system privileges as I expected. The "order by" clause is relevant to many questions too, particularly its different options and used with set operators. External/index-organized tables made a few appearances; much like indexes/views, both of these topics were ones that were not heavily featured in my study guide and which I felt I still had some things to learn after taking this exam. Overall, it's a tough exam that will challenge your thorough knowledge of SQL, but use what you know to eliminate wrong answers and have a sharp eye for syntax detail.